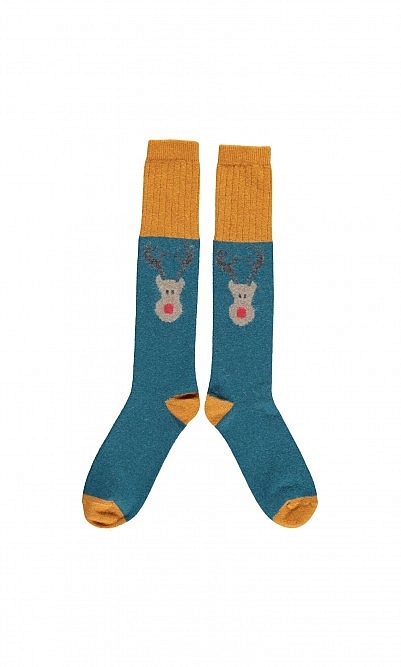 Festive knee-high socks made from lambswool to keep you warm and cosy when lounging around or out in the cold. L33cm. One size (UK 37-41). Fabric and care: 80% lambswool 20% polyamide. Cool gentle wash.